BRUSSELS NATO is ready to defend alliance member Turkey amid artillery exchanges along its tense southeastern border with Syria, its top official said Tuesday. Turkey and Syria have exchanged mortar and cannon fire across their common border since errant Syrian shells killed five Turkish civilians last week, sparking fears of a wider regional crisis. NATO Secretary-General Anders Fogh Rasmussen backed Turkey's right to defend itself. "I would add to that that obviously Turkey can rely on NATO solidarity, we have all necessary plans in place to protect and defend Turkey if necessary," he said ahead of a meeting of NATO defense ministers in Brussels. NATO nations expressed solidarity with Turkey after errant Syrian shells killed five Turkish civilians last week. But analysts say the alliance is reluctant to involve itself militarily in another conflict at a time when its main priority is the war in Afghanistan and the handover of responsibility for security to Afghan government forces. "We hope that all parties involved (in the Syrian crisis) will show restraint, and avoid an escalation of the crisis," Fogh Rasmussen said. "I do believe that the right way forward in Syria is political solution." Fogh Rasmussen's comments came as the Dogan agency quoted unidentified military sources as saying that at least 25 additional F-16 fighter jets were deployed at Turkey's Diyarbakir air base in the southeast late Monday. 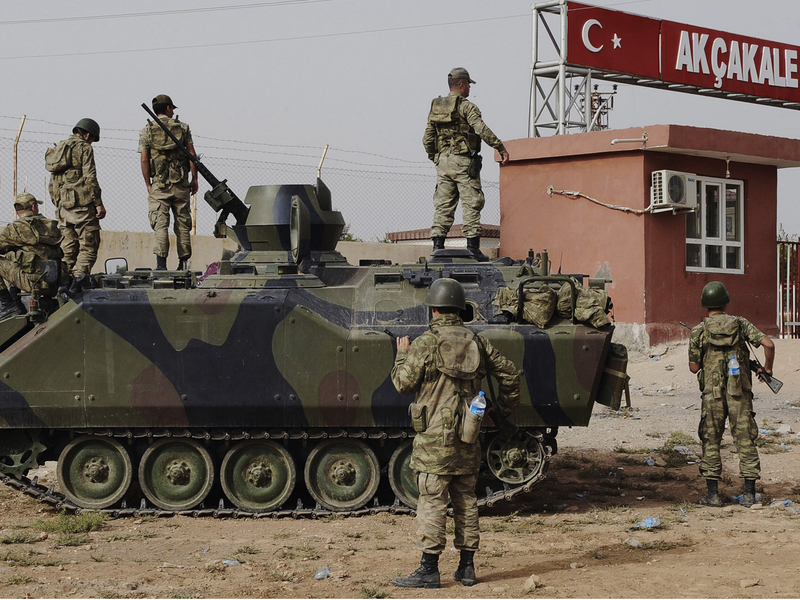 The Turkish military's chief of staff inspected troops along the border with Syria on Tuesday.